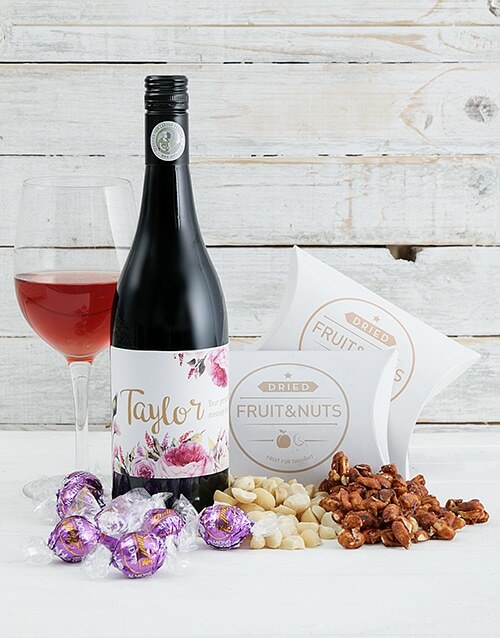 Pamper her silly with this wonderful gourmet hamper featuring caramel peanuts (100g), macadamia nuts (100g), Lindt Almond Truffles (8), along with a bottle of red wine Shiraz with floral label theme. 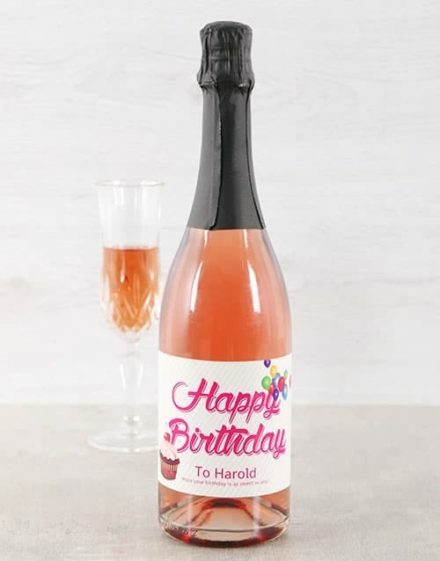 Personalised with her name and a special message for that unique touch. 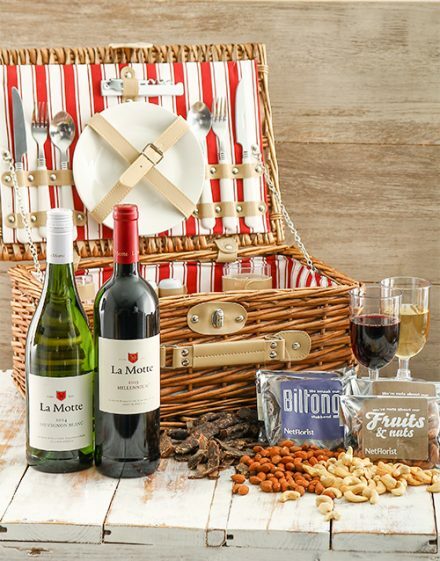 Send this gift today! 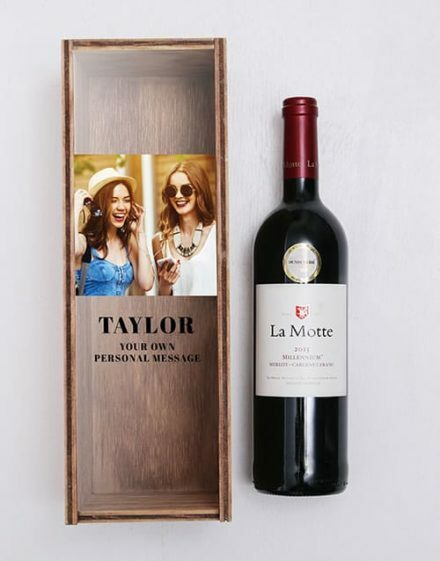 Have this Personalised Gift For Her delivered today.